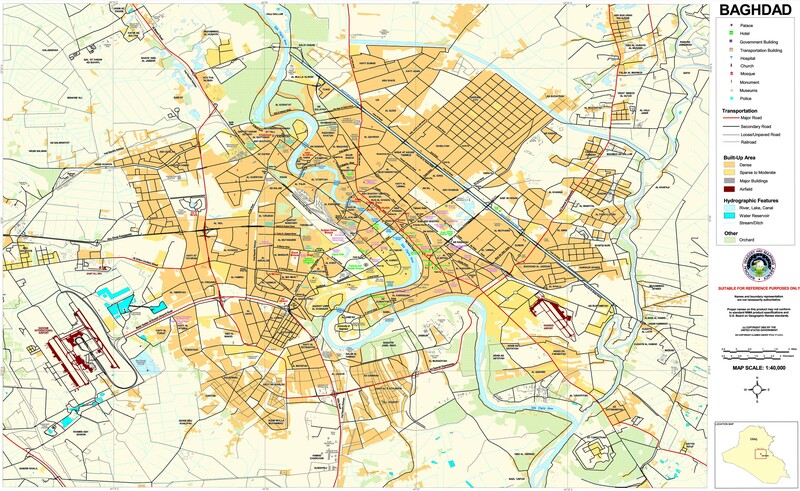 Need a detailed map of Baghdad, one that can tell you where the al_dawra neighborhood is relative to the Al-Rasheed Hotel? Need to make sense of the video feeds we're seeing from random spots? Search No more.. This is the map you want  3Kx2K, it shows every major government ministry, hotel, major streets, and neighborhood. Comments on "Beautiful Day in the Neighborhood"